It definitely is a good iteration on the original but I still don't think that it has enough to stay competitive in the 2011 smartphone market. Consumers generally think that good quality hardware = good product, and if Palm/HP continues to produce phones that are lacking in the hardware department, despite the great software, I feel like the Pre 2 will go the way of the original Pre, that is dead on arrival. So, original Pre owners should you upgrade to the Pre 2. NOOOOO!!!! With the Pre 3 just around the corner I simply cannot recommend the Pre 2 to anyone unless you can get it dirt cheap or if you don't want any of the new features that are on the Pre 3. Like many people who have used webOS, I think that Palm/HP is onto a winner with webOS but until they offer a compelling app platform for developers, good hardware for users and market the hell out of the handset, I cannot see webOS ever being a success. Overall, there is a lot to like about the Palm Pre 2. We like its overall shape, though its design is a bit dated now, but it’s easy to hold and feels comfortable in the hand. The improved webOS 2.0 software and 1GHz processor makes the Pre 2 feel faster and more powerful than the Pre Plus. But at this point, we’re not sure if the Pre 2 has what it takes to attract any new users to is, since Verizon’s big sellers are Android smartphones, and they are now also carrying the iPhone 4. 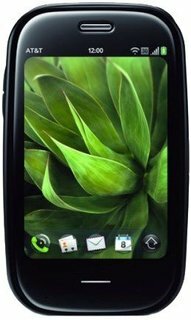 The Palm Pre 2 is currently selling for $149 with a 2-year contract, which is the same price as the Motorola DROID X, and only $50 less than the 16GB iPhone 4. Because of this, the Pre 2 is a tough sell and is mostly targeted to current Pre Plus users that are looking for an upgrade and want to stay with the webOS experience. But new smartphone users will probably be attracted to other devices. After several months of delays, HP's Palm Pre 2 is finally available on Verizon. Like the first version, the svelte Palm Pre 2 is a finely crafted smartphone with a beautiful operating system. But the Pre 2 suffers from a thin app catalog, a cramped design, and last year's hardware. It compares poorly with the Apple iPhone 4 and Motorola Droid 2 Global, not to mention Verizon's upcoming 4G LTE devices like the HTC Thunderbolt and Motorola Droid Bionic. First off, it's been a while since we've had a WebOS device in for review, so it was really great to have one back in our hands. It reminded us how much we love the mobile operating system for its multitasking abilities, data management, and search functionality, and the new enhancements only make it better. That said, it's really a shame it took so long for the Palm Pre 2 to land with a U.S. carrier given that the HP Pre 3 is just a few months away. no voice commands. Worthless while driving and need hands free. Keyboard no made for an adults hands. Small # of apps. No turn by turn navigation unless you subscribe to Verizon for $10.00/month. Cannot compare to the feature filled android OP System. 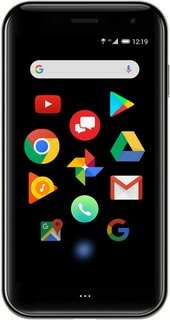 The Palm Pre 2 is a hidden gem of a phone buried beneath thick igneous rock layers of Android interfaces. The Pre 2's WebOS 2.0 integration and 1GHz OMAP processor are its main entrees, and those features boosted an already great phone even higher to the smartphone gods. We loved Palm's interface—it's the best multitasker on the market. However, there are a few caveats about the Palm Pre 2. First off, the phone's battery was a real damper on our overall experience, demanding frequent charges. Then, the discovery of another no-frills camera really dated the phone in comparison to the competing camera phones out there. 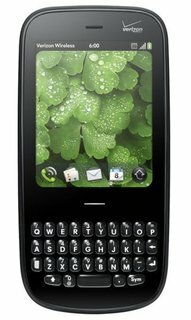 And lastly, the Palm Pre 2 really did not specialize in mobile entertainment due to its less advanced and smaller screen. For those reasons, the Palm Pre 2 will only apply to a select crew—the rabid multitaskers who operate via physical keyboards only. 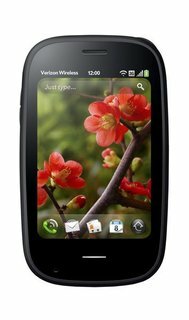 If you find yourself constantly sending emails, messages, chatting, or playing with moderate applications, then look no further than the Palm Pre 2 for Verizon Wireless. Besides, the phone has a VPN client for corporate network access! Hats off to Palm for carving a place for itself in the crowded smart phone market, with its brace of handsets that manage to combine cute good looks with powerful smarts and a uniquely different OS. This latest version of the QWERTY-packing Pre series raises the bar again with its beefed up processor, superior camera and extra functionality from webOS 2.0. On the whole, I’m still really impressed with webOS, and the Pre 2 seems to answer most of people’s concerns about Palm’s hardware. You aren’t ever going to see app selection on par with Android, what with multiple hardware manufacturers pushing the platform, but with HP behind Palm, at least webOS will have a chance at growing sustainably for the foreseeable future. For now, be sure to check on the availability of your killer apps before taking the plunge and buying a Pre 2, and even then you can always nab one and urge devs to bite the bullet and make a webOS version of your favourite application. Despite a few gaps in the software, the Palm Pre 2 still manages to deliver a mostly-complete experience with an excellent balance of style and function. As such a well-rounded device, there are few people I wouldn’t suggest the Pre 2 to; even folks who put emphasis on apps will find the meager selection is often offset by the high quality of professionally-made apps. I know a lot of you would want to wait for different hardware to even consider a webOS device and I don’t blame you. I’d love to see a slim, large screened webOS phone as well but the Pre 2 does an excellent job for what it is. Looking at webOS, I occasionally feel like it is too...cartoonish, if that makes sense. It’s a great OS but looks like it’s made for a younger audience. Nothing wrong with that but perhaps that will keep many from taking it as seriously as it deserves. The Pre 2 is a nice refresh of the line but it is mostly going to appeal to current Pre owners, meaning no net-new customers. Perhaps that’s all Palm is looking for right now, but they do need to follow up with new and interesting hardware. If you like the form factor, you will love the Palm Pre 2. I’m going to be sorry to see this review unit go back, but such is the sad existence of reviewers. Phones come into our lives, we love and care for them but eventually we...ok, enough of that. Sorry. The Pre 2 is a pleasant phone to use, don't get us wrong, but it needs to do more than that in the cut throat smartphone world. Palm's selection of apps remains paltry next to the rest, and the hardware is slowly being left behind - perhaps that's why it's yet to be picked up by any of the networks. If you want one you'll have to pay £340 for a SIM free handset, and we wouldn't advise anyone does that. We like the Palm Pre 2 a lot, and while we aren't convinced it's going to be a market hit, would very much like it to be. It is a well sized, ergonomic handset with a great UI and an incredibly intuitive phonebook experience thanks to the Just Type functionality. It also offers enough fun to keep you entertained on a commute home and is very well connected. Our experience of it was let down by instability and a lack of apps that we use on a day to day basis, however, with fantastic onboard Facebook functionality it also has a huge advantage over competition such as Android. We can only hope that with future updates, the manufacturer will take care of those stability problems. Visit the Palm Q&A Forum to get answers, ask a question or help others.